After my library haul seemed to go down well, for today's post I thought I would put my shiny new reading spreadsheet to use and try out something I'm considering making a regular series here over the year - although I'm sure not every month's stats will look as good as January's! Although my top two reads of the month both fall under the contemporary umbrella (more on these below), my top genre pick for January has to be short story collections. I really enjoyed our BB January book club read Ransom Riggs' Tales Of The Peculiar, as well Jen Campbell's The Beginning Of The World In The Middle Of The Night and non-fiction collection The Moth edited by Catherine Burns. Somehow I managed to cross eight prompts off of this year's Popsugar Reading Challenge (I'll be sharing regular updates over on BB throughout the year), as well as one of my 2018 'vow to read' books; The Beginning Of The World In The Middle Of The Night (Jen Campbell). I also made a very small dent in the long list of unread Kindle books I'm planning to tackle this year, reading Marlena (Julie Buntin) and Thirteen Reasons Why (Jay Asher), and managed to cross one title off of my sequels list. There's nothing like January to get back on top of those reading goals! There are several reasons I'm planning on cutting back on how many books I buy this year but the fact that I'm back living near a great library is definitely going to be a huge help! Last month I managed to stick to mostly reading a mix of library loans and past Kindle purchases, only clicking the Paypal checkout button on a copy of our February BB book club selection; A Tyranny Of Petticoats. 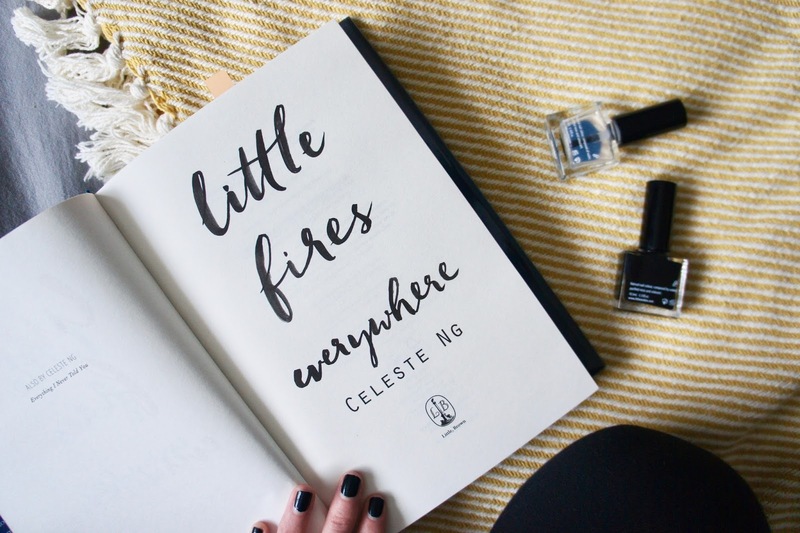 My favourite book of the month would have to be Celeste Ng's latest release Little Fires Everywhere which tells the story of two families living in Shaker Heights and was voted Best Fiction in 2017's Goodreads Choice Awards. I loved everything from the writing style to the characters and would highly recommend picking up a copy if you haven't read it yet. In addition, I'm going to have to bend my own rules a little and also include Far From The Tree by Robin Benway which I mentioned in the last edition of Little Detours. I finished the book on the first day of the year, so technically I only read about half of it in January but I just couldn't leave it out of this roundup. I have a full review of the book coming up over on Blogger's Bookshelf in March, but it's definitely another one to add to your 2018 TBR. Love this roundup! I really need to buy less books - eek! Thanks Anjali. I'd miss you book hauls if you did though!